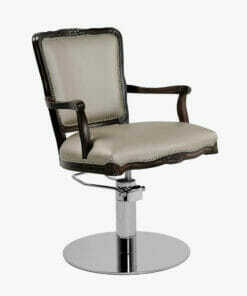 Mila Prince Styling Chair in Standard Fabric. The Mila Prince Styling chair is an elegant and modernised take on a classic reproduction design. 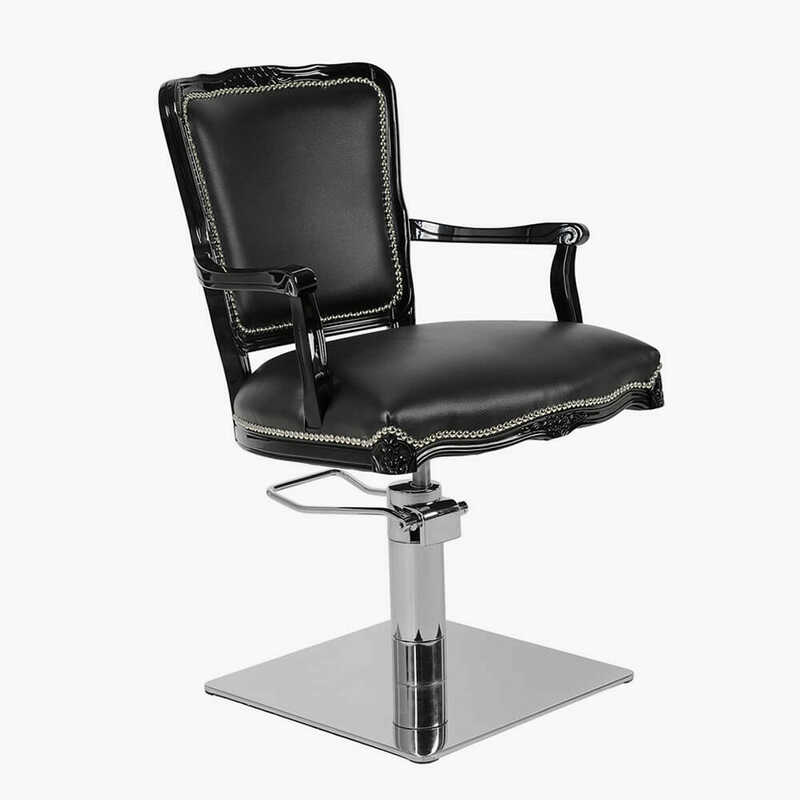 With a wide and comfortable seat and a unique retro style. 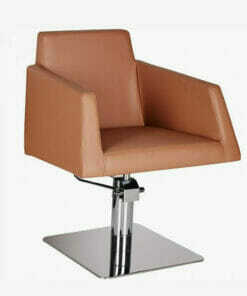 The wooden frame, upholstered seat and backrest are all available in a wide range of colours. 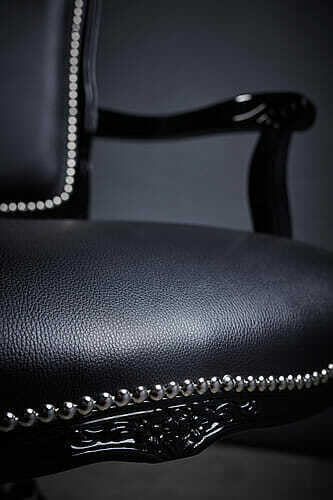 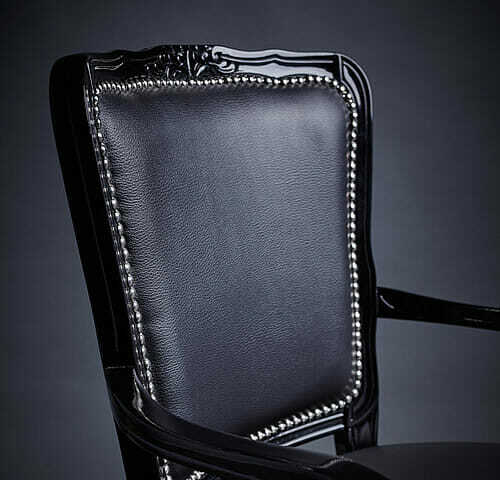 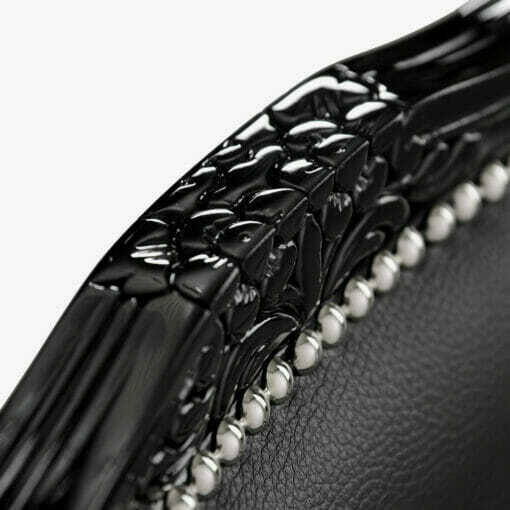 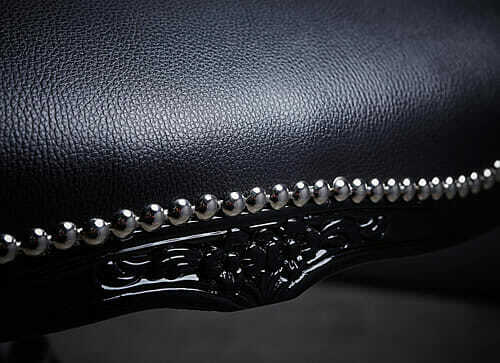 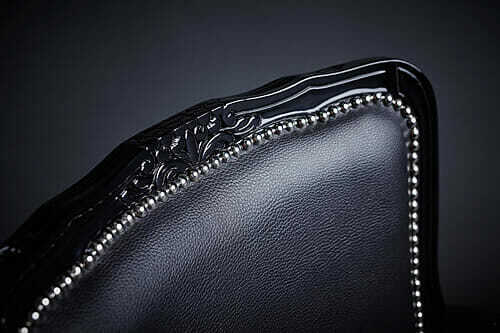 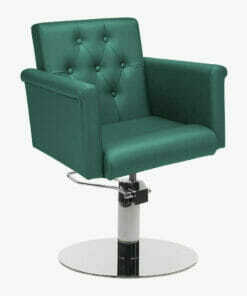 Allowing you to personalise the chair to suit your salons interior scheme. 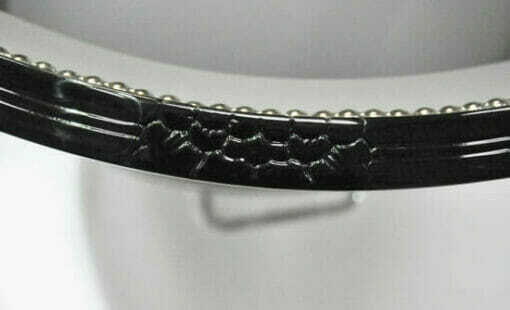 The Wooden Frame is available in three colours; Black Gloss, White Gloss or Wenge Darkwood. 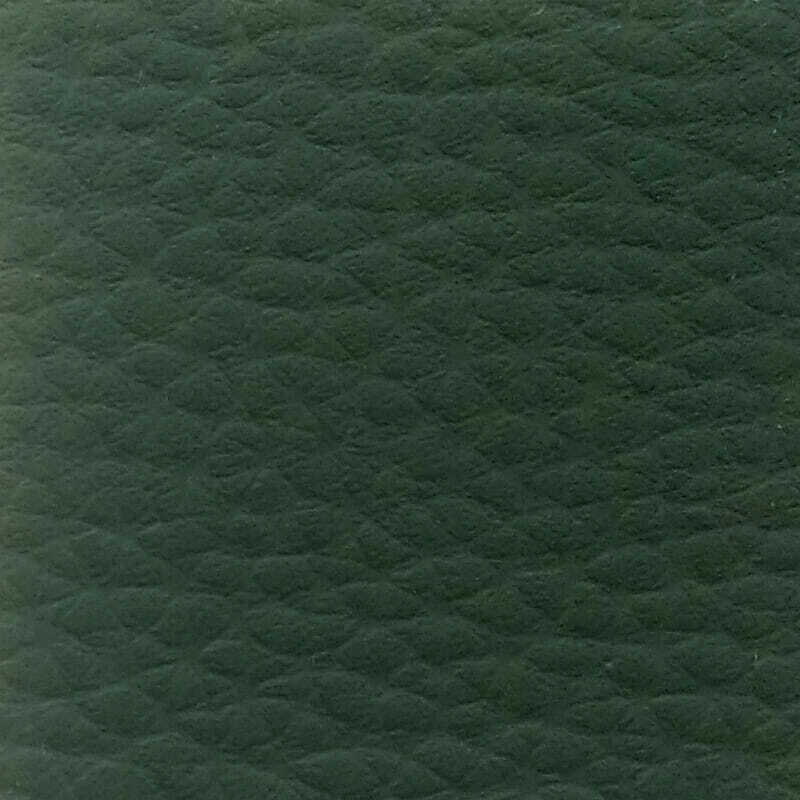 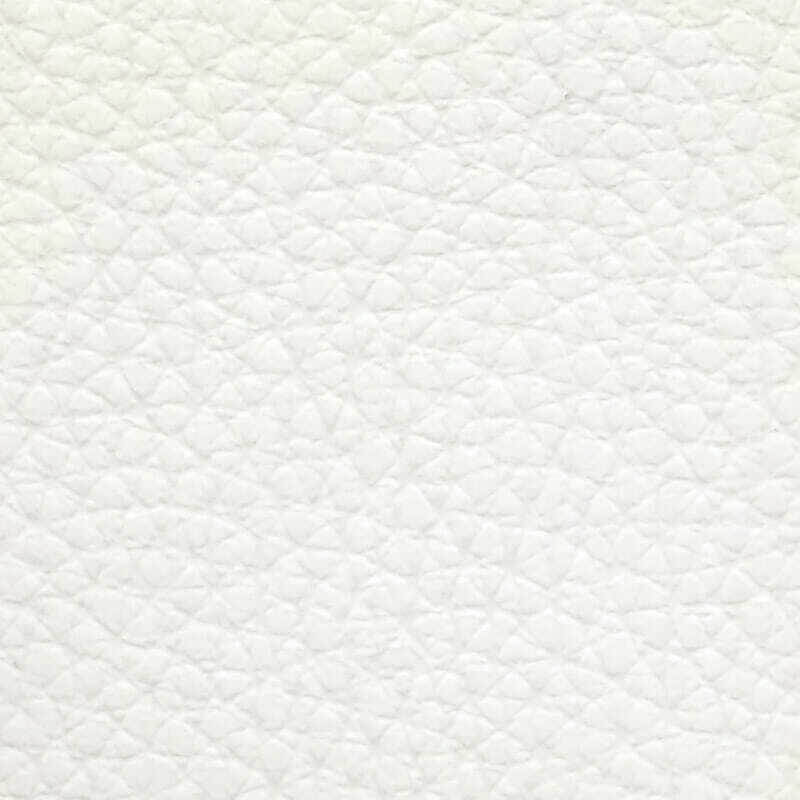 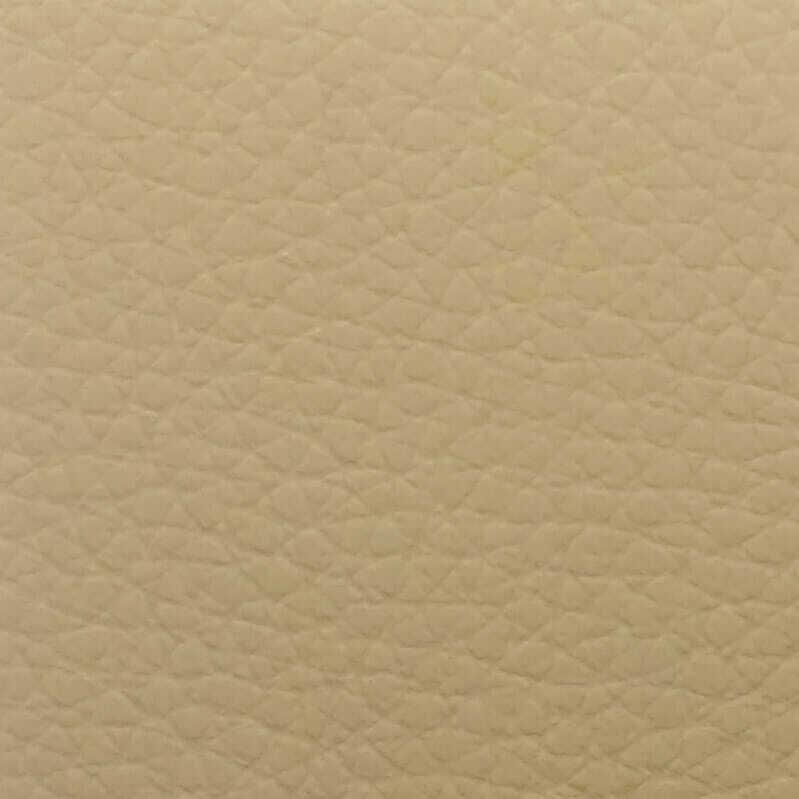 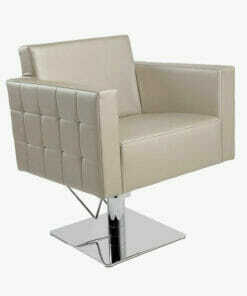 The Upholstery is available in any colour from the Mia Standard fabric range. 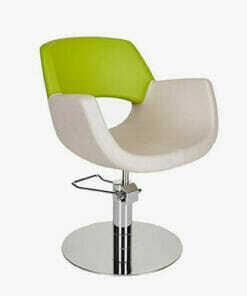 See below for the colour chart. 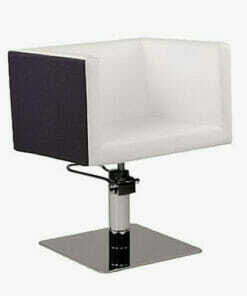 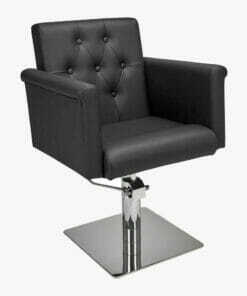 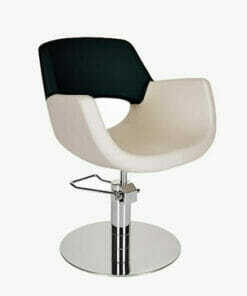 The Mila Prince Styling Chair is available on a Gas Lift pump with a 5 Star base. 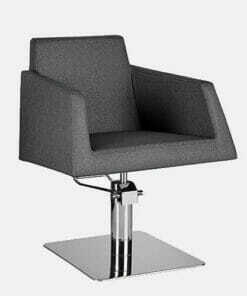 Or on a hydraulic pump with a 5 Star, Disc or Square Base as optional extras. 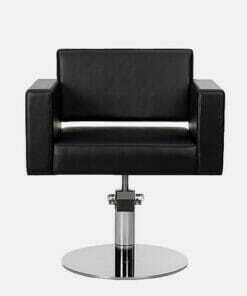 Please use the drop down boxes to choose all your options. 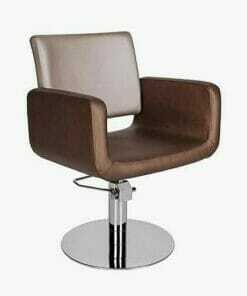 If you need any assistance selecting the correct base and colour options please feel free to telephone our office. 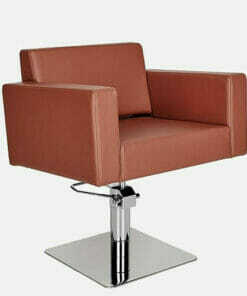 Where one of our team will be happy to help. 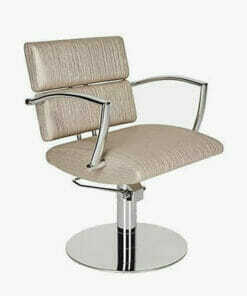 Mila furniture is a complex range of salon equipment made with a use of the latest technologies. 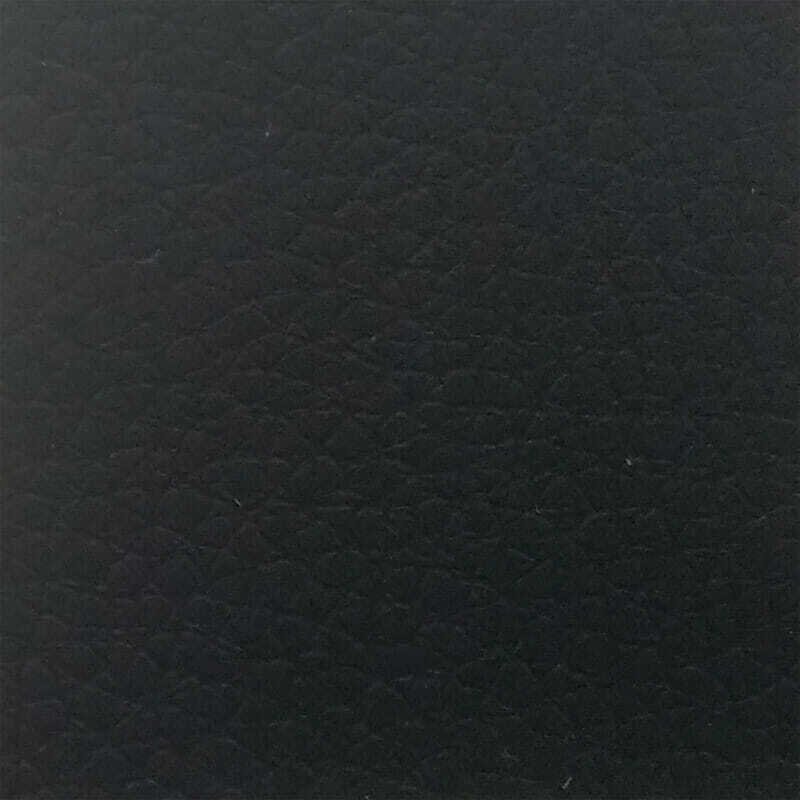 (i.e. 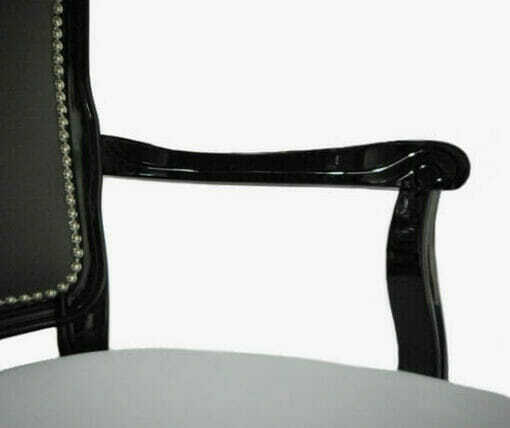 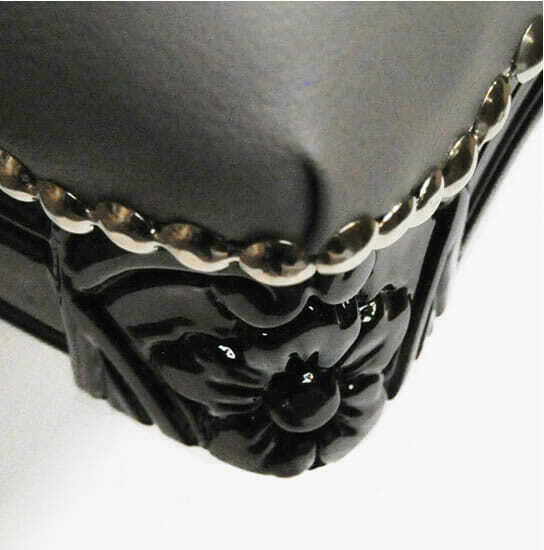 roto-moulding) which gives us the certainty of its durability and reliability. 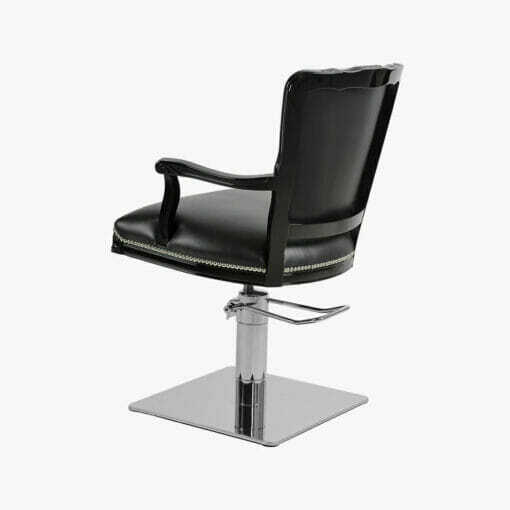 Comfortable and stylish salon chair with a unique modern design. 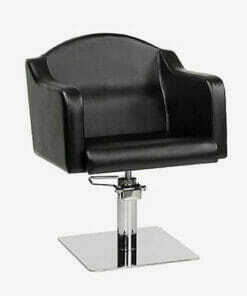 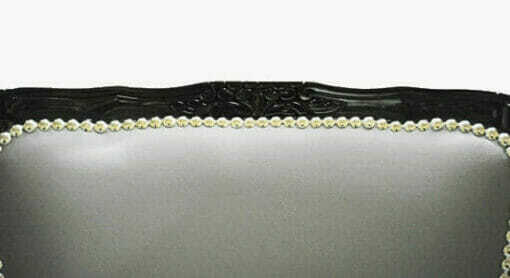 A great addition to any modern hairdressing salon, beauty salon or spa. 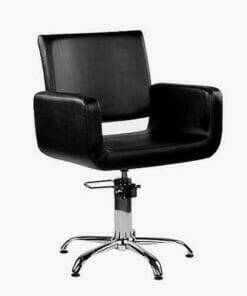 Uniquely designed styling chair that would fit perfectly into any salon. 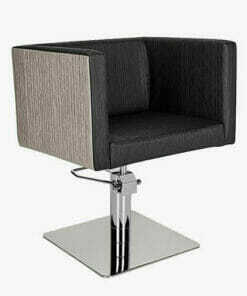 Cube style chair, made to the highest standard with quality materials. 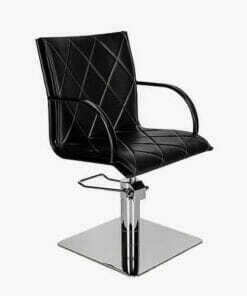 Contemporary styling chair with a stylish sleek design. 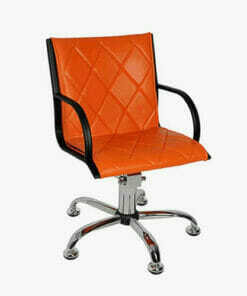 Deep quilted and well built styling chair with unique pattern effect. 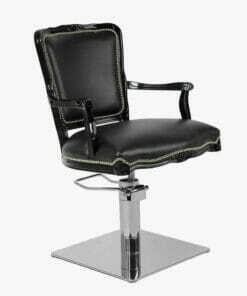 Deep cushioned seat ensuring excellent client comfort. 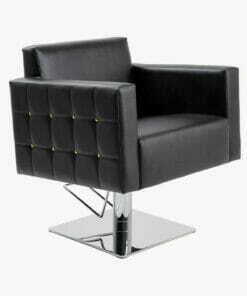 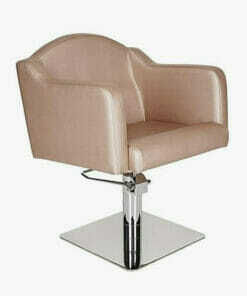 Fully upholstered styling chair that would fit perfectly into any modern salon.